Windows 10 PCs will be available on July 29. A report claimed that consumers will be able to buy Windows 10 PCs brand such as Dell, Lenovo, Hewlett-Packard, and Acer from stores on launch day. It will run with Windows 10 pre-installed. 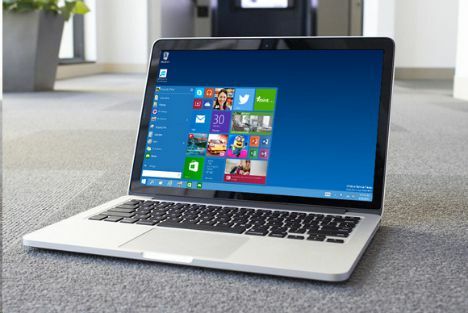 Although, Windows 7 and 8 users are eligible for a free upgrade Windows 10. However, it is important to note that not all people who signed up reserve for Windows 10 upgrade will receive it on July 29. 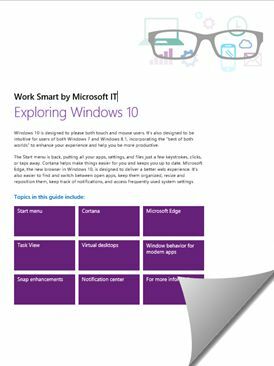 To help Windows 10 users, Microsoft has released a Windows 10 eBook named “Exploring Windows 10” which introduces the new and enhanced features to Microsoft’s new OS. In addition, the eBook also provides simple guide on how to perform regular tasks. These chapters are further divided into sub-chapters. The total 17-page guide also contains screenshots to make Windows 10 user explore new OS better. It also highlights important point with red circle to make them easier to comprehend. Download “Exploring Windows 10” eBook from Microsoft Download Center.